We live in a volatile world full of uncertainty. It’s all about targeted flexibility, the art of being prepared, rather than preparin g for specific events. Being able to respond rather than being able to forecast, facilitates the ability to respond to the consequences of an event. 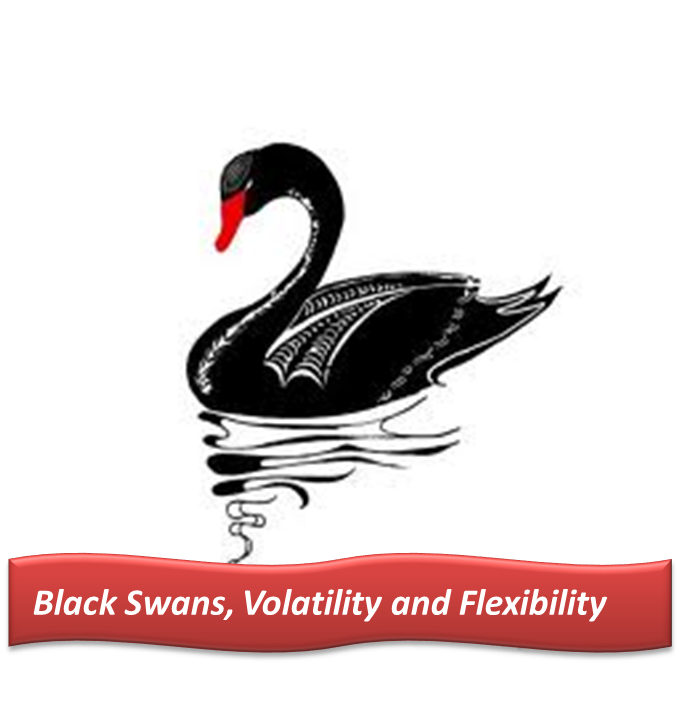 How is it possible for someone to be able to identify the unknown – unknowns, the highly improbable and extremely rare events before they happen?” Even Nassim Taleb, the author of the famous book, “The Black Swan, The Impact of the Highly Improbable,” has not yet mastered this. Or he is just not claiming the title, “Master Black Swan Hunter” yet. ← Reverse Mergers: Beauty or Beast?